Serving on the AWMAI Board of Directors is a rewarding and fulfilling job. Meet and collaborate with your peers. Gain organizational skills at the national and even international level. Learn to think and plan nationally and globally. Provide a service not found anywhere else in the world. Read the Board Position Descriptions and apply today! Shifu/Sensei Koré Grate is the Executive Director/Head Instructor of the Five Element Martial Arts and Healing Center (formerly Feminist Eclectic Martial Arts) established as a 501(c)3 non-profit organization in Minneapolis, Minnesota in 1989. She currently holds the ranks of 7th degree black belt in Wu Chien Pai (Gong Fu, Judo, Jujitsu, Taiji, Qigong and Healing Arts) , 2nd degree black belt in Soshoryu Iaido, 2nd degree black belt in Aikitoho Iaido. She has been teaching self defense and empowerment to women and girls since 1982 and is a nationally certified self defense instructor through the National Women’s Martial Arts Federation (NWMAF). Koré has trained in China three times with internationally recognized masters and continues to train in California with her main teachers: Grandmaster Alex Feng, Grandmaster Wen Mei Yu, Master Su Zi Fang and Koji Yoshida Shihan, and Michelle Benzamin-Miki Sensei. Koré is a lifetime member of AWMAI, NWMAF, and the Pacific Association of Women Martial Artists (PAWMA). “I support what I believe in." Over the years, Koré has taught numerous classes and helped organize the conferences/camps for all three of these organizations. She co-hosted the most attended AWMAI conference to date and was inducted into the AWMAI Hall of Fame in 2012 for having trained in the martial arts for over 40 years. Being one of the founding board members of PAWMA in the early 80’s, she continued to support the organization and served as PAWMA Vice-President and Elder Counsel in the 90’s. She received the PAWMA Martial Artist of the Year in 2005 and the esteemed Lifetime Achievement Award in 2011. She served as Chair of NWMAF from 1994 to1996, and has taught at several Special Trainings. She is a founding mother of, and served on, NWMAF's Anti-Racism Council (ARC). In addition, she currently serves on the Board of Directors of the Keiko Fukuda Judo Foundation. I love learning, I love teaching, and that passion and vision has opened my heart, challenged my soul, and helped me to see the importance of moving that vision and passion into real changes that affect our everyday lives, which will affect our everyday planet. Melanie Fine was promoted to Renshi Shihan (6th degree black belt) in Hakko Densho Ryu Jujutsu in 2014, after a long journey in martial arts. She began training in 1976, first in Tae Kwon Do, then for 18 years in Tang Soo Do under Master Maynard Stanley at Karate Temple in Cincinnati, OH, where she achieved 3rd degree black belt. She started her first school, a branch of Karate Temple, in Columbus, OH. There she met Sunny Graff, and was introduced to the women's martial arts community through NWMAF's Special Training. She attended Special Training in 1985, and soon joined the NWMAF board of directors, serving 5 years as Treasurer and 2 years as Chair. She served as archivist and unofficial camp photographer for many years. In 1994, Melanie met Shihan Dara Masi, and soon decided to become her student in Jujutsu. The following year, she moved from Texas (where she had been living) to New York, to join Shihan Masi as co-owner of Suigetsu Dojo. Shihan Fine also holds Teacher Certification in Yang Style T'ai Chi Ch'uan under Master Wasentha Young, is certified in Zheng Gu Tui Na (Chinese bone-setting massage). She has a special love for the healing aspects of her martial art. Melanie has been honored by the NWMAF as Member of the Year, and inducted into the AWMAI Hall of Fame for over 40 years of dedication. She is a lifetime member of the Hakkoryu Martial Arts Federation, the National Women's Martial Arts Federation, the Association of Women Martial Arts Instructors, and JuJitsu America; and a current member of the American Judo & Jujitsu Federation. 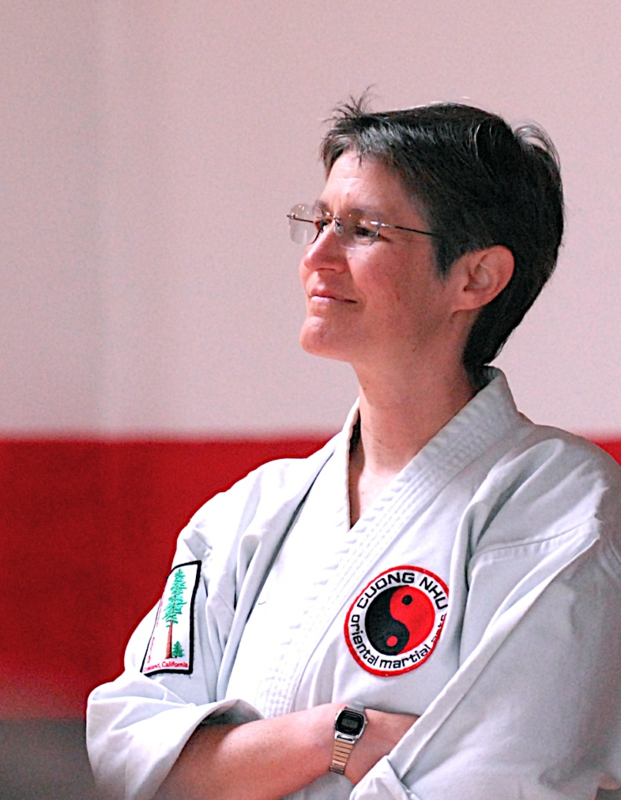 Melanie has attended over 25 Special Trainings, numerous AWMAI conferences and PAWMA camps; and spent quite a few years assisting Shihan Dara Masi with the development and organization of the AWMAI. I am grateful to have been involved in the birth and evolution of this organization. I never cease to be amazed at the endless opportunities for networking, learning, sharing, and making new life-long friendships. And fun! Master Didi Goodman is founder and senior instructor at Cuong Nhu Redwood Dojo in Oakland, California, where since 1992 she has taught many hundreds of children, teens and adults. She holds the rank of Shichidan (seventh degree black belt) in Cuong Nhu, a Vietnamese eclectic style that blends hard and soft. 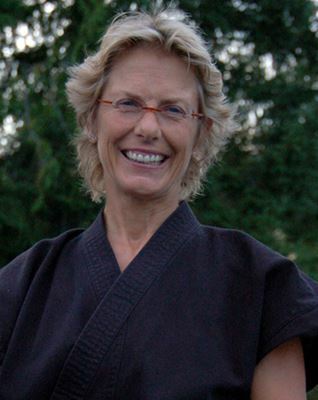 She began her training in college in 1976, in a student-run Taekwondo class. She then trained under women’s martial arts pioneer Pauline Short at Karate for Women in Portland, Oregon, before moving to the San Francisco Bay Area and continuing in Taekwondo under Ken Min at UC Berkeley. 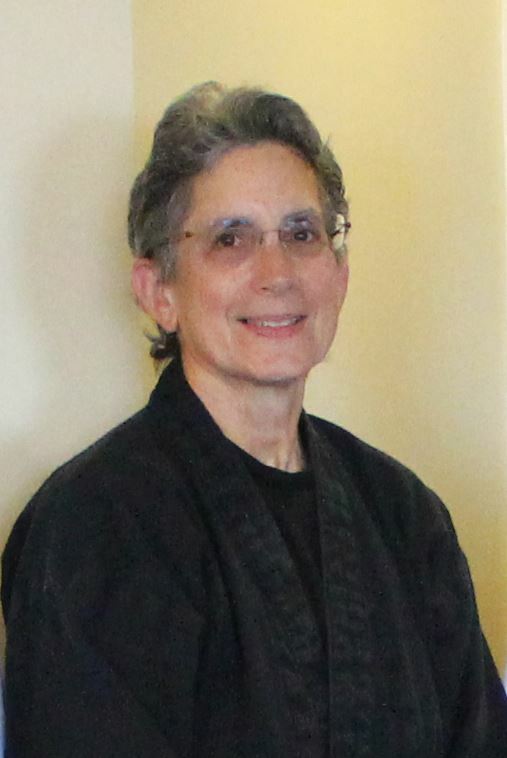 In 1986, she joined the Pacific Association of Women Martial Artists, and through PAWMA Camp was inspired to take up Aikido (studying first at Women’s Aikido of San Francisco under Jamie Zimron Sensei, and later under Ichiro Shibata Shihan in Berkeley). PAWMA Camp also introduced her to Cuong Nhu, through classes taught by the late Master Mary Davis. She began training in Cuong Nhu under Master John Burns in 1988, and continues to this day. Didi served on the PAWMA board in the 1990s, and in 2014 was inducted into the AWMAI Hall of Fame. As a long-time head-of-school, she is grateful for the support and inspiration provided over the years by those who went before her, and by her colleagues in martial arts. She believes women who teach and run schools are doing important work, and grow stronger by sharing their knowledge and skills. She hopes to give back to the community by serving AWMAI. A writer, editor, and poet, Didi is the author of The Kids’ Karate Workbook: A Take-Home Training Guide for Young Martial Artists, from North Atlantic/Blue Snake books; and of a volume of poetry, Greed: A Confession, from Able Muse Press. Sijeh Sarah Sponzo began training in martial arts in 1998, studying Tai Chi and Kung Fu. 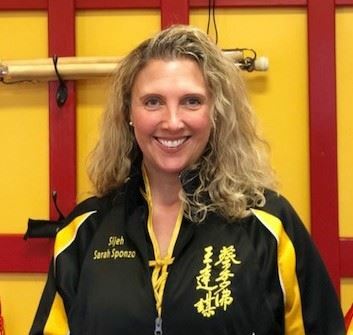 She is now a Senior Instructor at the Tat Wong Kung Fu Academy in Middletown, Connecticut, under the leadership of Sifu Daniel Ostrow. She also trained with Grandmaster Tat Mau Wong and holds a 2nd degree Black Belt in Choy Lay Fut. In addition to her regular teaching schedule, she especially enjoys judging and coordinating tournaments, both in her own school, and with various organizations, including the International Chinese Martial Arts Championship (ICMAC), New England International Chinese Martial Arts Championships, Disney Martial Arts Festival, and AFACT Karate. Sarah has an academic background in English and Education, and works as an Account Director for a medical communications company. In her free time, she loves to cook, read, spend time with her cats and dogs, and dream up her next travel adventure. "I am always honored by the trust that my teachers have put in me and particularly humbled by the faith that parents and students put in me to guide and teach them and their children. I am especially privileged to follow so many great elder sisters and to help lead many wonderful younger sisters on the path of martial arts." 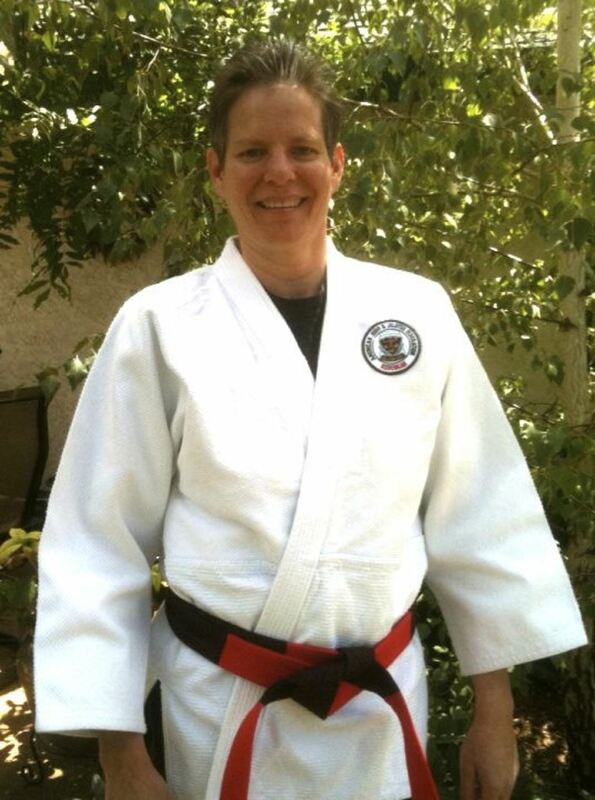 Katie Murphy Stevens is head instructor at Makoto Kai Martial Arts in Woodland, California. She has been training in Danzan Ryu Jujitsu for more than 25 years and holds the rank of Godan (5th degree black belt). In addition to her jujitsu studies Sensei Murph has trained in the healing arts side of Danzan Ryu, and is a graduate of the Danzan Ryu Seifukujitsu Institute massage course. She has been active in support of the American Judo & Jujitsu Federation teaching at regional and national seminars, participating in tournaments, and serving in various administrative roles. She is also a member of the Association of Women Martial Arts Instructors, the Pacific Association of Women Martial Artists and the Hakkoryu Martial Arts Federation. Sensei Murph began her martial arts practice for some self-defense training and fitness, but she stays for the deep friendships and her love of the art. "AWMAI is a grass roots organization. Our annual conference is a meeting place where we can teach, talk and enjoy martial arts. Our members truly want to contribute and to see each other succeed."